Villa Doretta is located in a prime elevated position, nestled upon a tranquil olive grove covered hillside, boasting spectacular views across the surrounding countryside, across Vassilikos and out to sea. Doretta is modern in design and has been comfortably furnished throughout, offering very spacious living quarters over three floors, which includes a games room with table tennis, table football and a pool table. 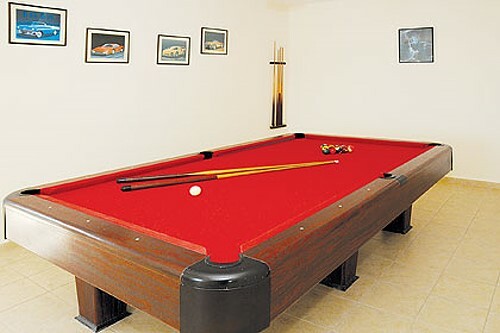 Patio doors lead out from games room to a private secluded swimming pool and built-in barbecue. 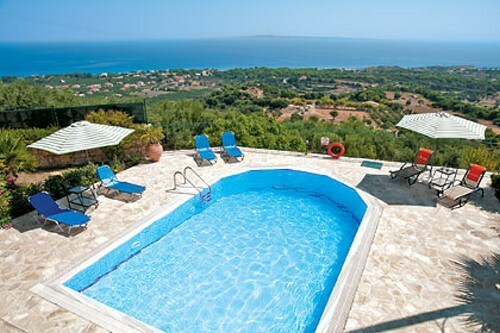 The nearby bars, tavernas and beaches of Vasilikos can be found just a short drive down the hill.